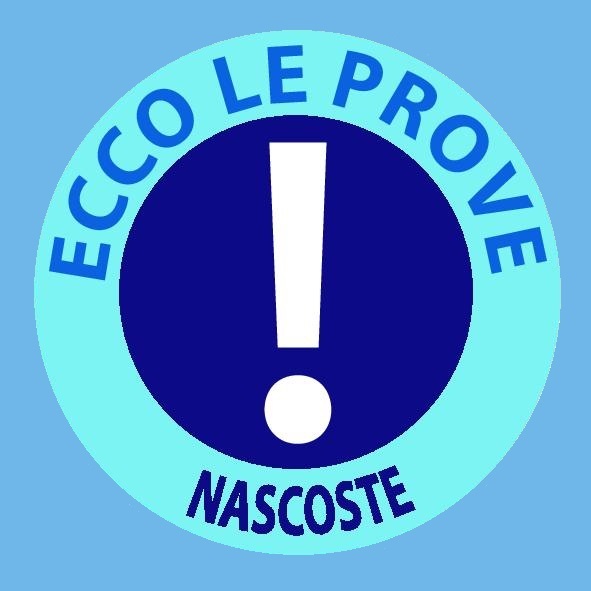 [Un esperto manifesta le sue preoccupazioni riguardo alla imminente accensione del segnale 5G. 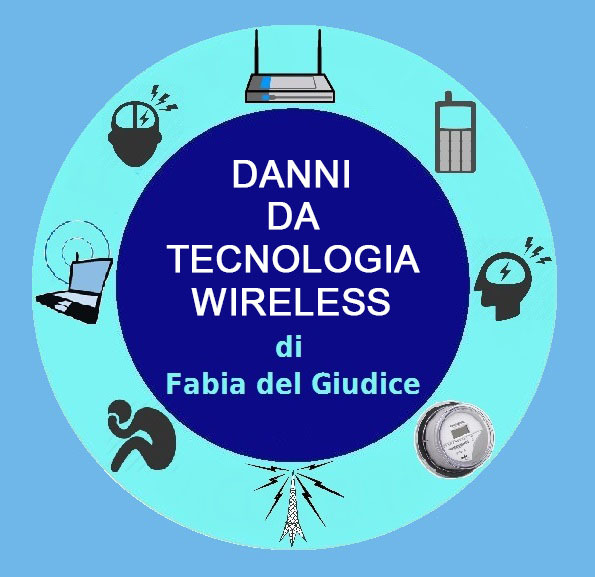 Se andate a leggere il nostro recente articolo che spiega il meccanismo attraverso il quale i Fotoni delle Microonde disturbano il funzionamento delle molecole nelle nostre cellule, potete vedere che l’energia dei Fotoni delle Microonde del WiFi, perché i fotoni sono la misura fondamentale appropriata della energia elettromagnetica quando si abbia a che fare con le molecole, è di circa 5 ueV a 2.4GHz. Ma a 60GHz, le onde millimetriche che saranno utilizzate dal 5G hanno una energia 25 volte più elevata, di circa 122 ueV. 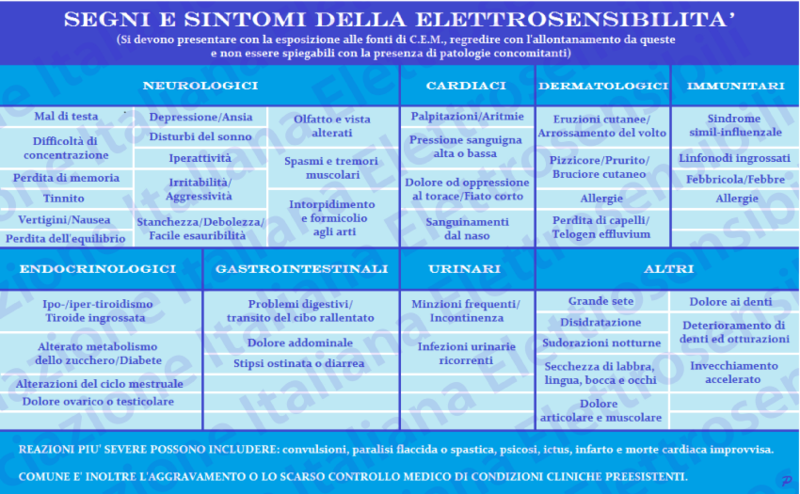 Affinché un Legame Idrogeno venga spostato e inneschi la disfunzione di una malattia, è necessaria una energia di 10-20 meV. Questa operazione richiede circa 3000 fotoni da un sistema Wi-Fi a 2,4 GHz, ma solo 120 fotoni a lunghezze d’onda millimetriche. 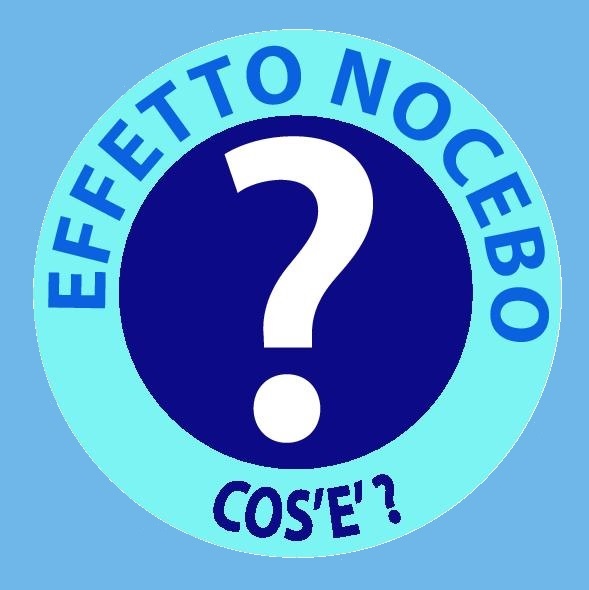 Il flusso dei fotoni delle microonde che passano in ogni punto sul corpo umano è di circa 5 milioni ai livelli di segnale raccomandati nel BioInitiative consensus del 2012 (-47dBm), un livello generalmente molto inferiore all’elettrosmog nelle città. Così l’energia dei fotoni delle onde millimetriche disturberà le molecole umane 25 volte di più rispetto a quanto fanno gli attuali Wi-Fi e 4G. Very high frequency Microwave signals emit Millimeter Waves, so called because the wavelengths are smaller (typically 5mm) rather than the 16cm microwaves from 2.4GHz WiFi. Yet these millimetre waves can do much more damage to human metabolism than microwaves. If you read through our recent paper explaining the mechanism by which Microwave Photons disturb the operation of molecules withing our cells, you can see that the energy of WiFi Microwave Photons, for photons are the appropriate fundamental measure of electromagnetic energy when dealing with molecules, is around 5 ueV at 2.4GHz. But at 60GHz, the millimetre waves to be used by 5G have an energy 25 times higher, at about 122 ueV. In order for a Hydrogen Bond to be displaced and trigger disease dysfunction, an energy of 10-20meV is needed. This takes around 3000 photons from a 2.4GHz WiFi system, but only 120 photons at millimetre wavelengths. 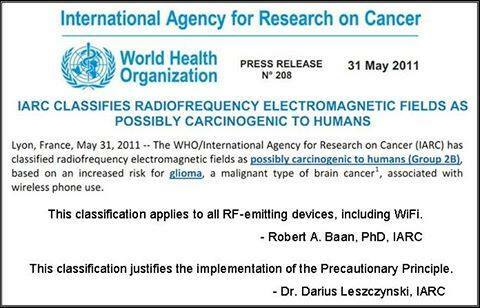 The flux of microwave photons passing every point on the human body is around 5 million at the signal levels recommended in the 2012 Bioinitiative consensus (-47dBm), a level normally much lower than the electrosmog in cities. So the energy on the millimetre wave photons will disturb 25 times as many human molecules as do current WiFi and 4G. But the situation is worse than that. Our paper shows that only the larger protons have resonances in the 4G regions. A much larger number of smaller peptides and proteins have resonances in the millimetre wave region. Not only is the electromagnetic energy greater, but the potential number of molecular targets in the human body is also increased. The University Vestnik are the traditional venues for publications of an institution’s academic in the East. Here is one of my own papers which was published in Vestnik, State University of St Petersburg. The KPI paper, in Figure 3, lists how Millimetre Waves directly affect all systems of the human body – Cardiology, Endocrinology, Orthopedics and Traumatology, Digestive System Diseases, Dentistry, Oncology, Neurology and substance addiction. I have seen these clinical systems in action, and have had personal experience of their activity. Why is it that nobody in the West is .reading the research from the East? 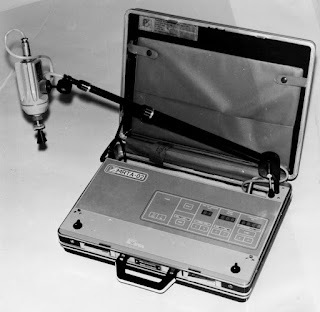 Why has nobody paid attention to devices such as the AMRT-02 — which uses very low levels of 50-70GHz millimetre waves to excite the acupuncture points on a human body without needing needles? Above is a photo of one of these units. The millimetre waves are generated in the plastic lenses at the bottom tip of the probe. Yes, Millimetre Waves use lenses for antennas to focus their millimetre photons, just like optical photons are focused by lenses. 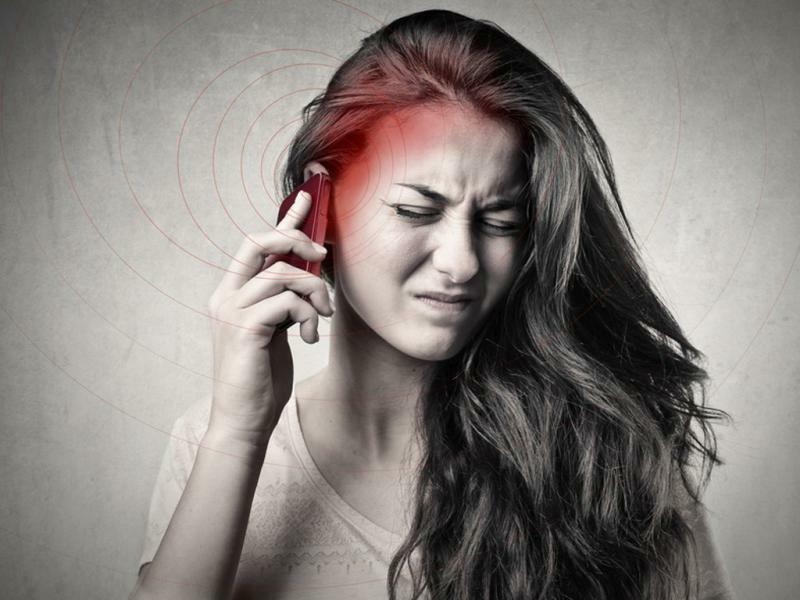 Widespread use of 60GHz radiation is opening a Pandora’s box beyond the comprehension of our legislators, and, apparently, beyond most of our scientists.